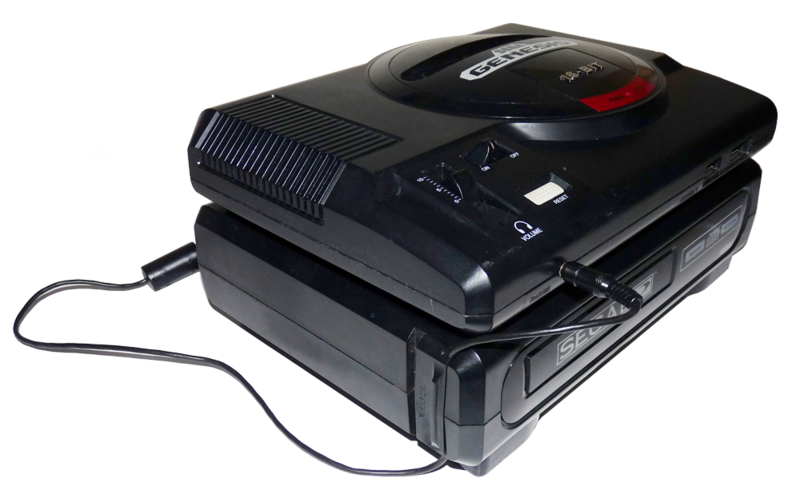 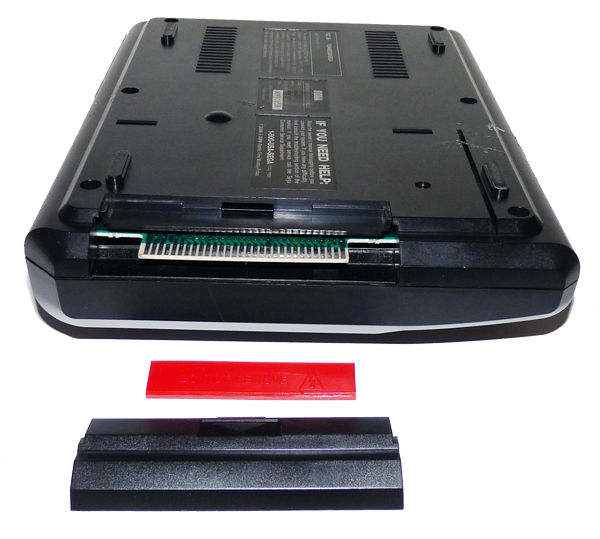 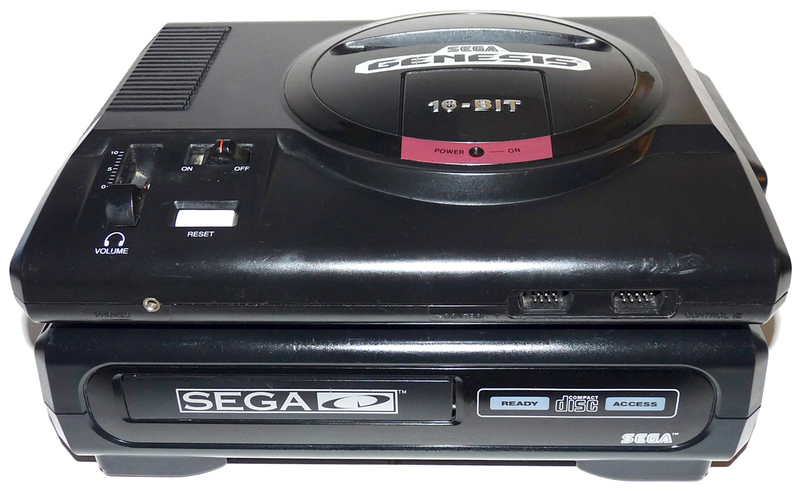 This page will show you how to get your SEGA Genesis Model 1 System hooked up to the original SEGA CD! 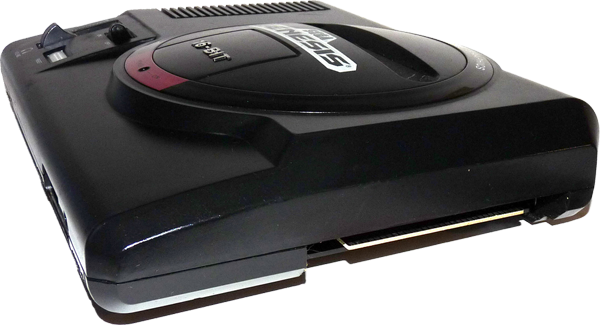 NOTE: The SEGA Genesis Model 1 does not output sound in stereo from this port. 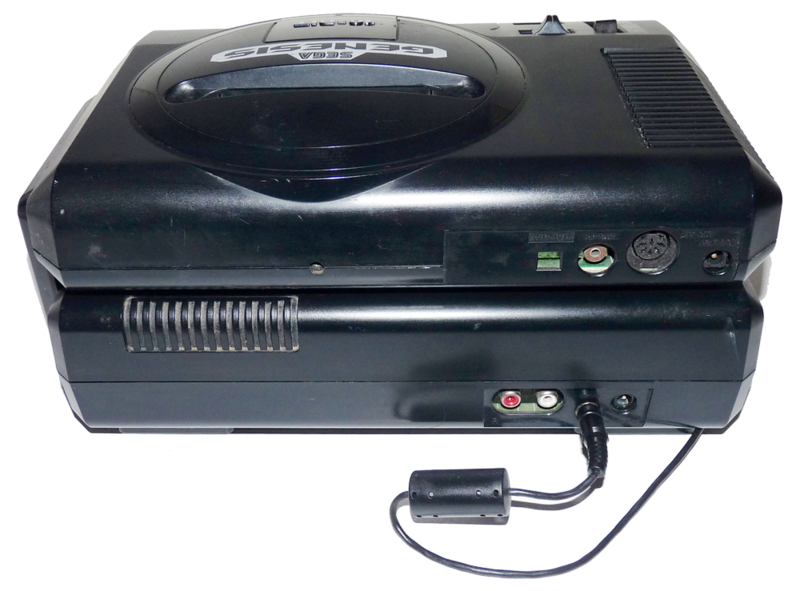 So when we hook this up to a SEGA CD (either model CD) we will be using the Audio Out ports on the SEGA CD itself to supply stereo sound. 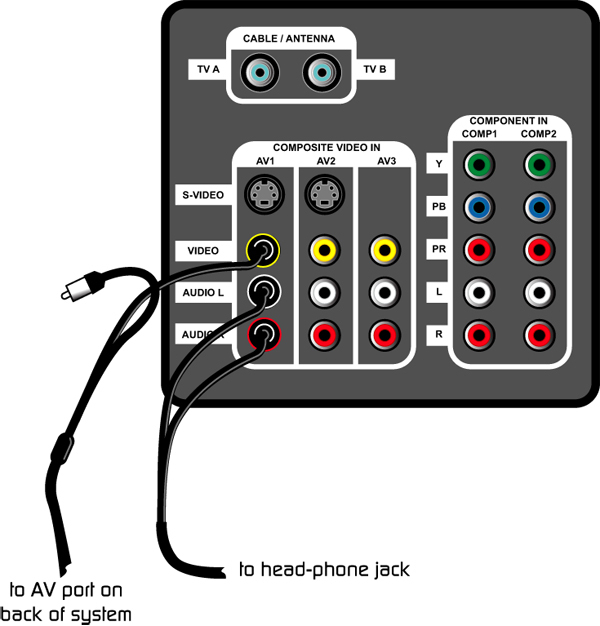 We will only be using the YELLOW connection on this cable when we hook it up to the TV. 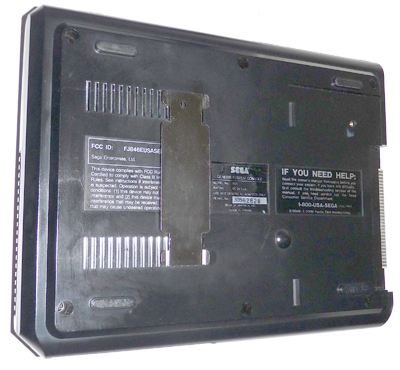 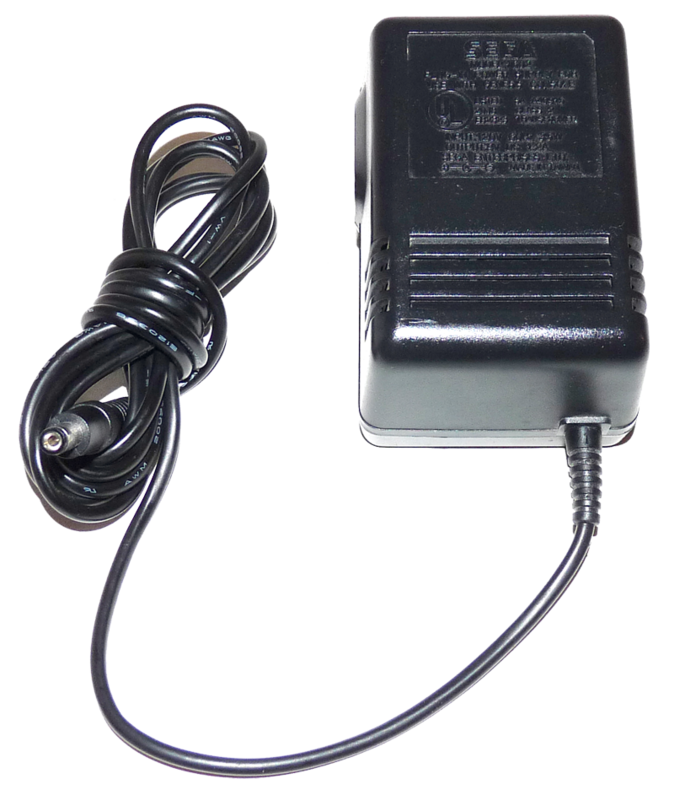 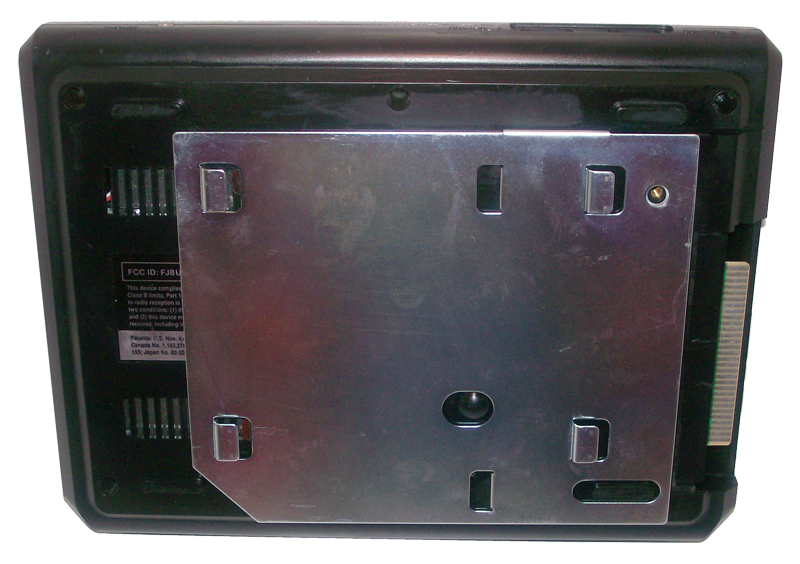 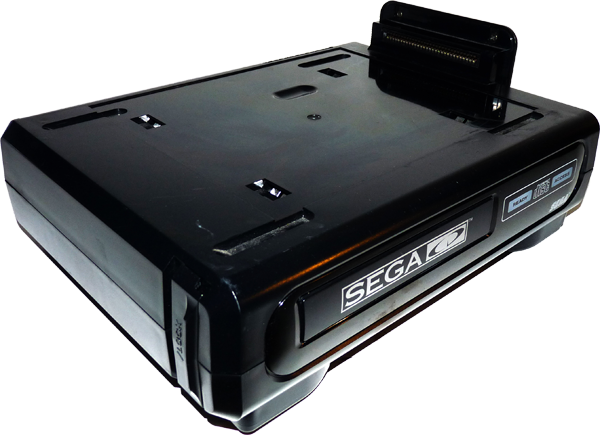 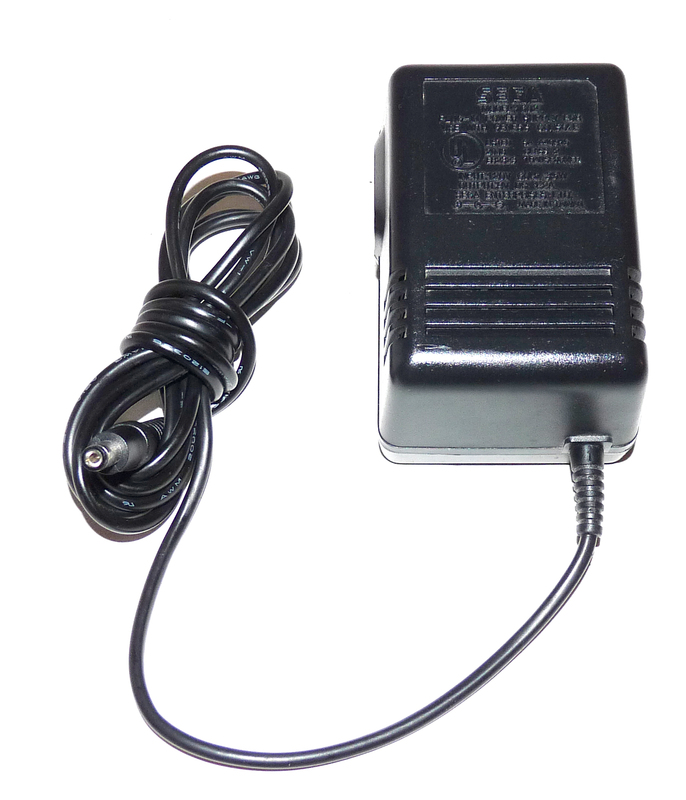 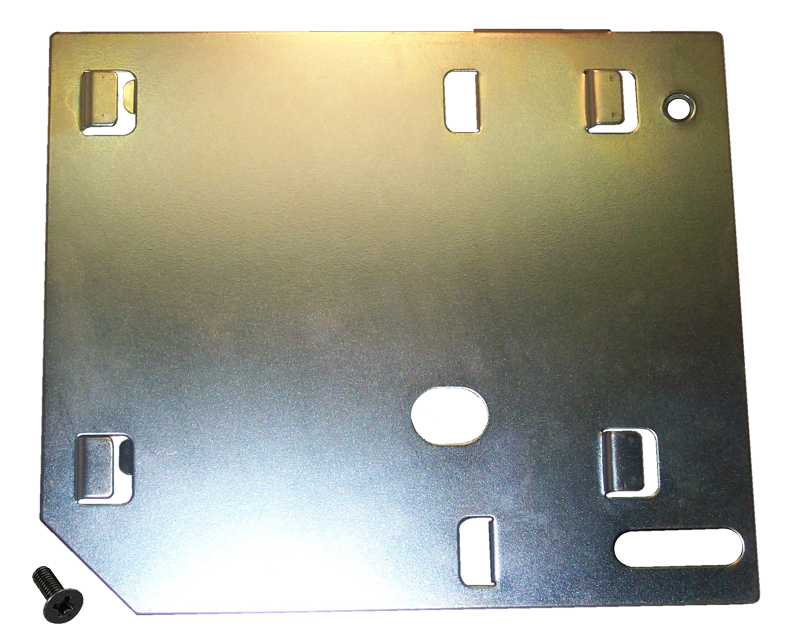 This is the SEGA Genesis power supply port for the SEGA MK-1602 AC unit. 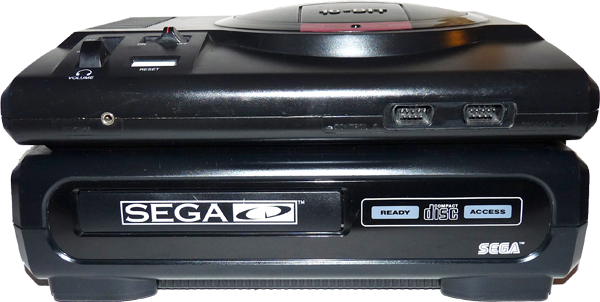 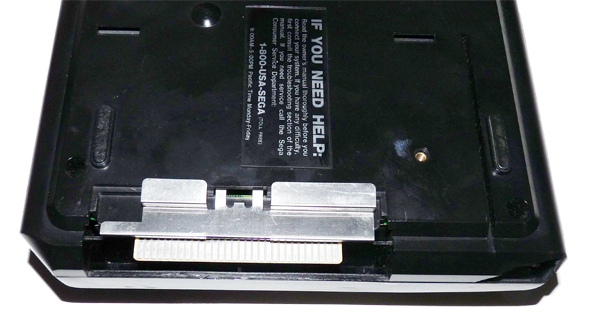 This is the headphone port on the front of the original SEGA Genesis. 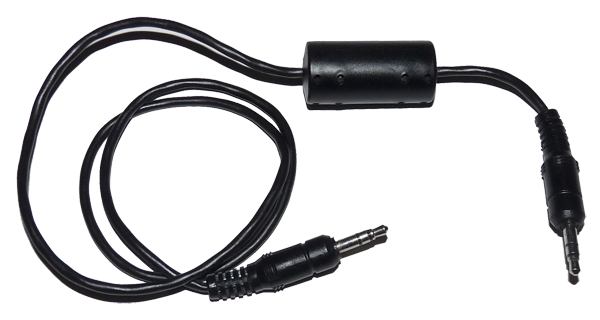 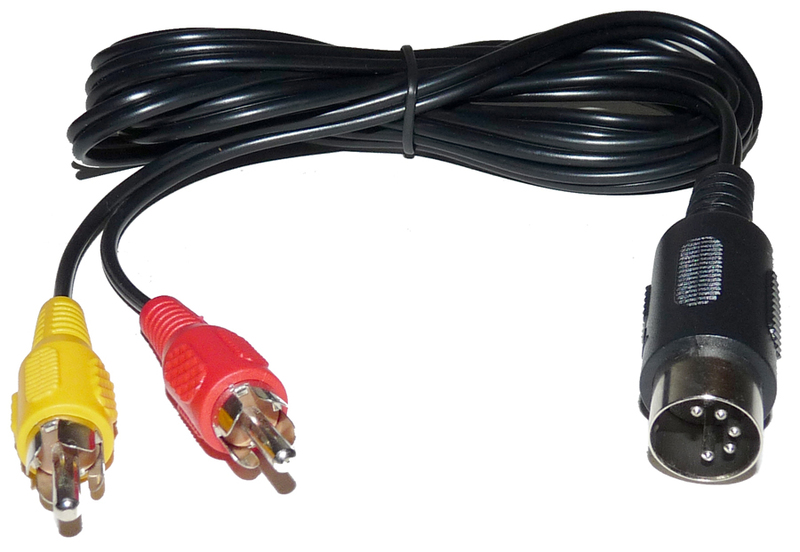 We will use the Audio Mixing Cable, which is just an 1/8″ audio to 1/8″ audio cable about a foot long. 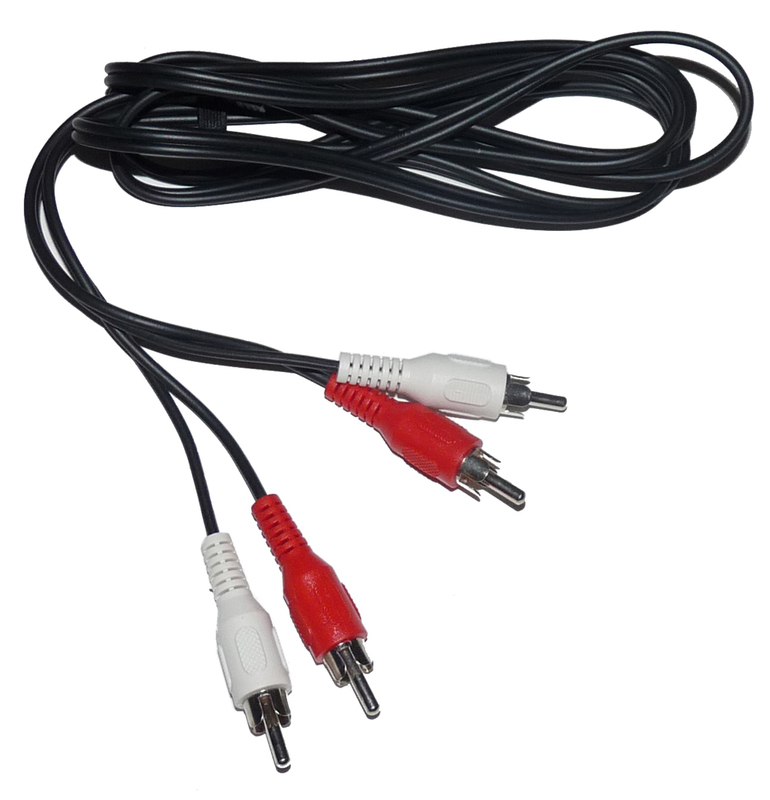 This is the standard headphone-jack we are all used to. 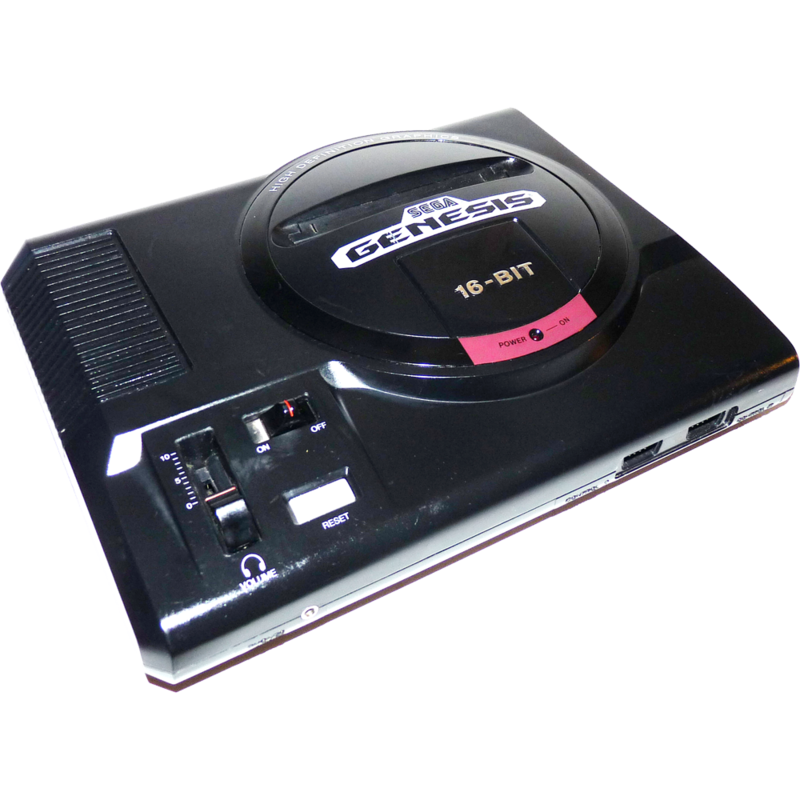 If you don’t have one, you can get it at almost any electronics store for cheap. 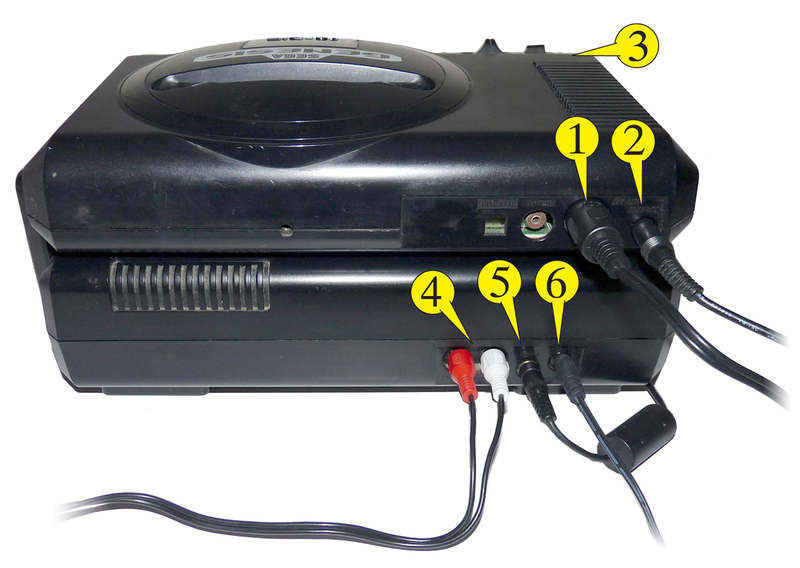 This is the only way to get true stereo sound output from the original Genesis to mix with the SEGA CD. 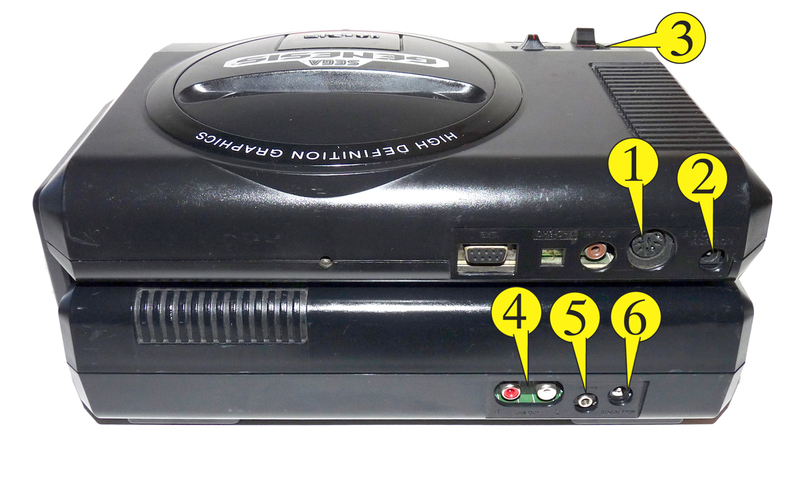 This AUDIO IN port is used with the Audio Mixing Cable that will be plugged into the headphone-jack on the original SEGA Genesis. 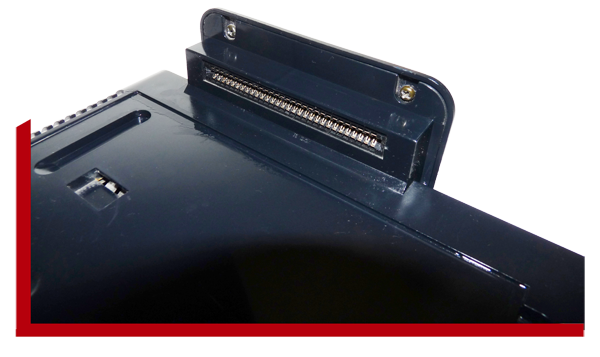 Go blow stuff up in Thunder Strike!